As Seen is an ongoing research project that looks at the influence of architecture and design exhibitions years after their closing. Exhibitions have long played a crucial role in defining disciplinary histories, as they mark pivotal moments in time and document the environment in which new narratives or arguments unfold. At a moment when the fields of architecture and design, spurred by a multitude of cross-cultural and global conversations, are opening up to new definitions, ways of working, and design and production processes, this research highlights how an exhibition can help to both concretize and critique ongoing tech - no logical and cultural shifts. The selection presented here focuses on group exhibitions from 1956 to 2006, orga-n ized by a wide range of architecture and design professionals. 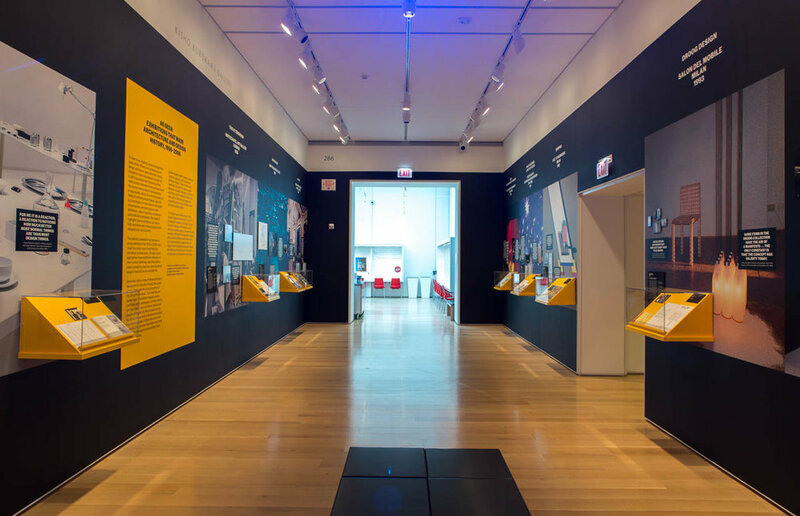 Through varied approaches these exhibitions reflected on then-current dilemmas, identified alterna-tives to prevailing practices, and reasserted design’s implications for everyday life. Since their debut, many of these exhibitions have grown in influence through the spread of their ideas and the rising popularity of the designers involved. The materials pre-sented here—installation images, posters, invitation cards, catalogues, correspondence, and floor plans—are more than residual and provide glimpses into the concepts driving the exhibitions as well as the physical spaces they once occupied. Critical discourse from the media and scholars illuminates and helps to vivify the discussions surrounding these events at the time. As Seen presents shifts in design networks, curatorial approach, and ideas about exhibition design. These presentations show how the tools of curators, graphic designers, industrial designers, architects, and others can be catalyzed toward new ends, which often resonate beyond the temporal duration of the exhibition itself, ultimately making history. This project was initiated as part of the Istanbul Design Biennial 2014. The aim in bringing the research to Chicago is to con-tinue the dialogue and illustrate a cross section of creative output to be seen through new eyes. Although this installation features only a small sampling of exhibitions and is by no means globally representative, our hope is that it reignites conversations about the influence of exhibitions on the practice and perception of architecture and design.